The ship that really floats! 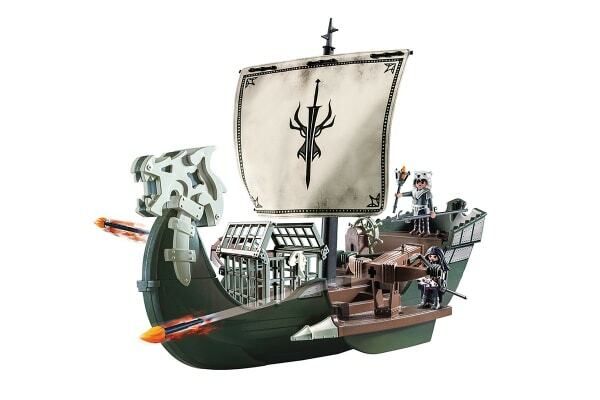 Battle the dragon-riders’ fiercest enemy yet, Drago, as he approaches on his ship. 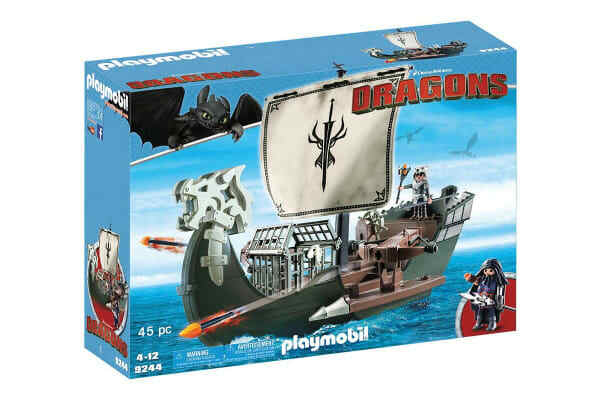 The Playmobil How to Train Your Dragon Drago’s Ship has everything Drago needs for his devious attempts to trap dragons. 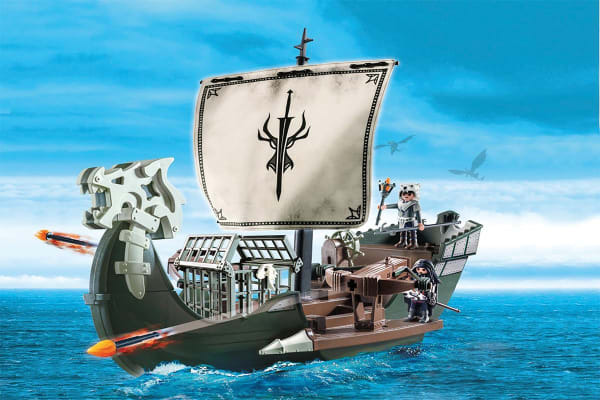 The dragon cage with lock is used to contain captured dragons, while the functioning crossbows defend against any incoming fire. 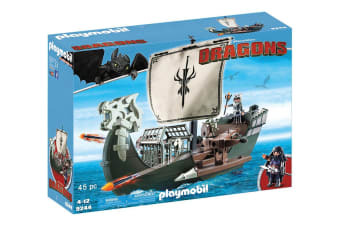 The Playmobil How to Train Your Dragon Drago’s Ship set includes Drago, one other figure, spears, torch and other accessories.